This keyless remote programming instructions work for remote with part # 4238A-41846, GM9A-675RY, BN8P675RY, FCC id KPU41846 on the back of it. 3. Open the driver’s door. 6. Door locks should cycle (lock then unlock). It not, wait for 40 seconds and start from the top. 7. 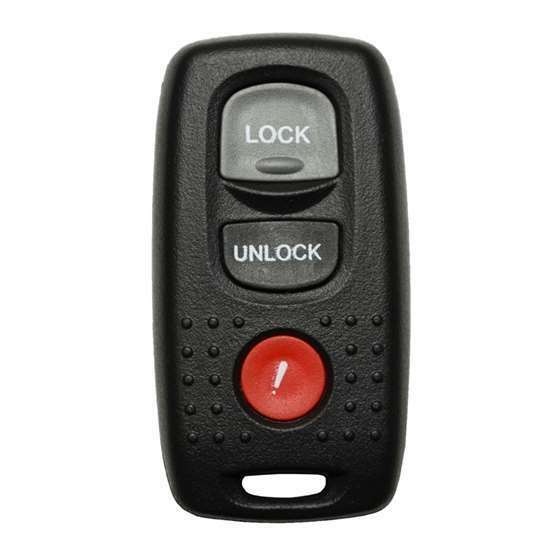 Press the unlock button on each remote you're programming twice, door locks should cycle after each remote is programmed. If not, close then open driver’s door once, door locks should cycle. If door locks did not lock and unlock, go back to step 3. 8. Exit from the vehicle and test all remote.